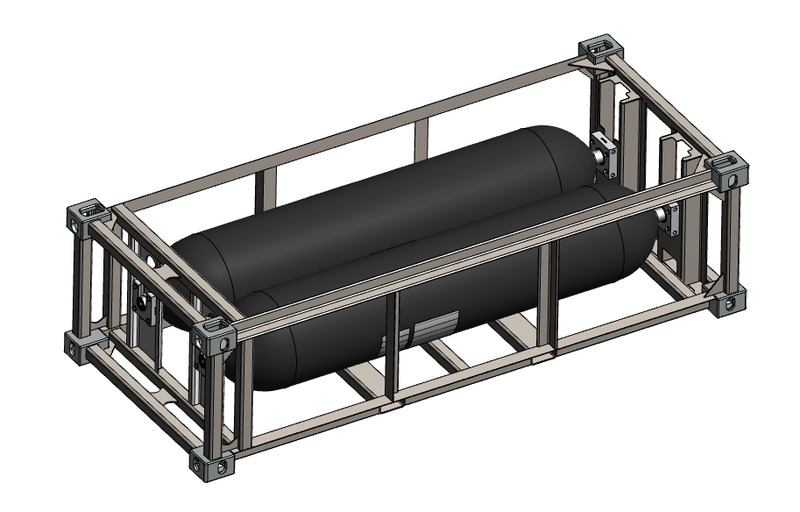 Hexagon Composites has received an order from Air Liquide Advanced Technologies U.S. LLC ("Air Liquide"), world leader in gases, technologies and services for industry and health, for a transportable tank system. The high-pressure tank system will be used in a mobile hydrogen refueling trailer supporting the rapidly growing fuel cell electric vehicle (FCEV) market in the U.S.
"Air Liquide is a pioneer in the build-out of the hydrogen refueling network and we are honored to be part of this mobile refueling project," said Hartmut Fehrenbach, Vice President Hydrogen Distribution of Hexagon. "Mobile refueling units can play an important role in the expansion of the hydrogen refueling network before permanent stations can be established." The mobile hydrogen refueling trailer will start operation in the second half of 2019.